I’ve come to terms with certain truths in my life. I know I will never be rich. I’ll never own a Coach purse, have a designer kitchen, or set foot in a Ferrari or Porsche, let alone own one. But when it comes to certain necessities, I am unwavering in my devotion to the finer things of life. 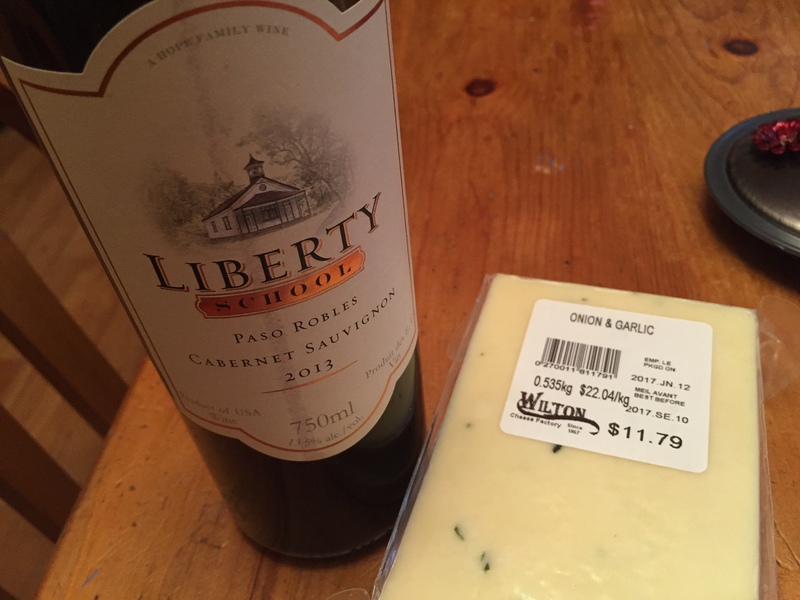 Good bread, wine and cheese are three staples I won’t skimp on. Best bread: Pan Chancho bakery in Kingston. I had two colleagues from TD Bank in Toronto who insisted on coming to Kingston every year for meetings just so they could stock up on loaves of bread to take home on the train. Their olive bread is addictive. Best ice cream: Kawartha Dairy wins by two scoops every time. I discovered Kawartha Dairy thirty years ago on weekend trips to Minden, the Kawarthas and Bancroft to friends’ cottages. Luckily you can get their rich and creamy ice cream everywhere now, even Costco. Best cheese: Celebrating its 100th anniversary this year, Wilton Cheese Factory in Wilton is the best little cheese factory in eastern Ontario. Sure, there may be good fancy artisanal cheese places out there, but you won’t find better cheese at a reasonable price. People drive for miles for their cheese curds. Best butter tarts: Mrs. Garrett’s of Garrett’s Meat Shop in Inverary—gooey, rich, huge and delicious! Don’t forget to pick up a pumpkin pie for a second dessert while you’re there. Best coffee: Cooke’s Find Foods coffee. Get it in Kingston and Picton–guaranteed to perk you up. Best wine: So many wines, so little time. Since I’m no connoisseur, and still have to buy wine on a budget, I won’t even attempt to try to list my favourites, but the amazing array of Ontario wines from the County and Niagara will keep us all happy for a very long time. I will give a shout out to my newest local winery, Scheuermann Winery in Westport. Leslie and I visited it last fall and enjoyed a bottle of their Romatique. Worth the drive to Westport. This week’s #HappyAct is to enjoy the finer things in life. What’s one of your favourite finer things? Leave a comment. Now I am hungry! It all sounded good. The only thing I could add is chocolate – dark, milk, with nuts, minty – whatever, just as long as it’s good.